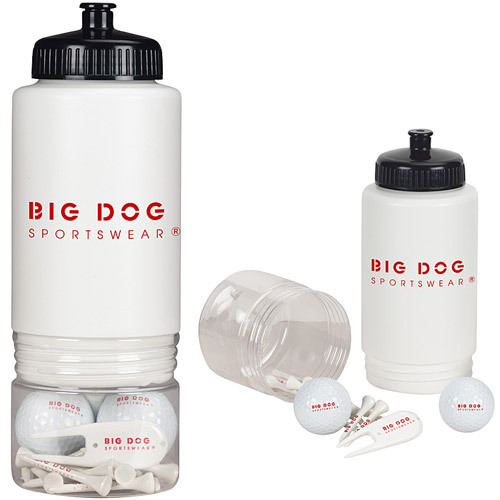 28 oz Compartment Event Kit.Includes 28 oz. imprinted Sport Compartment Bottle, 2 imprinted Wilson Ultra Ultimate Distance golf balls, 20 imprinted 2 3/4" tees, 2 imprinted ball markers and 1 imprinted divot repair tool. Bottle is in white only. Accessories come in assorted colors.